Builders, Bathroom Installation, Plumbers, in Barnsley, South Yorkshire. Jobs R Us Undertakes all Property maintenance and building works in Barnsley, Wakefield, Harrogate,Leeds,and the surrounding areas, we cover other areas but there are too many to mention.We do 24 hour call outs for blocked toilets and drains, burst pipes and leaks we also offer break in boarding up services.We specialise on wall and chimney removals.We still do the everyday maintenance on propertyâ€™s such as pubs, clubs, shops, warehousing, dentist and residential homes. 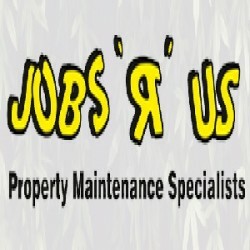 "https://www.facebook.com/pg/Jobsrusone/about/ If you want "Help with D.I.Y" or need a much larger job doing, then contact Jobs 'R' Us as we are an established company with over 30 years experience in all aspects of property maintenance. Just view our Photos for a small sample the work that we have done, there are some before and after,just look at the transformations! Although we specialise in bathroom and kitchen installations, we started off doing the really small jobs such as tuning in T.Vs and videos for the elderly or fitting a plug and we still do all the small jobs as and when there is a need for it, as there are a lot of people out there that need these doing but most companies will not touch! We do work for Mencap, Keyring and other caring organisations, along with private care homes. We also do work for a large selection of Pubs,Clubs and Dentists." "If you want "Help with D.I.Y" or need a much larger job doing, then contact Jobs 'R' Us as we are an established company with over 30 years experience in all aspects of property maintenance. Just view our Photos for a small sample the work that we have done, there are some before and after,just look at the transformations! Although we specialise in bathroom and kitchen installations, we started off doing the really small jobs such as tuning in T.Vs and videos for the elderly or fitting a plug and we still do all the small jobs as and when there is a need for it, as there are a lot of people out there that need these doing but most companies will not touch! We do work for Mencap, Keyring and other caring organisations, along with private care homes. We also do work for a large selection of Pubs,Clubs and Dentists." Have You Dealt With Jobs R Us?